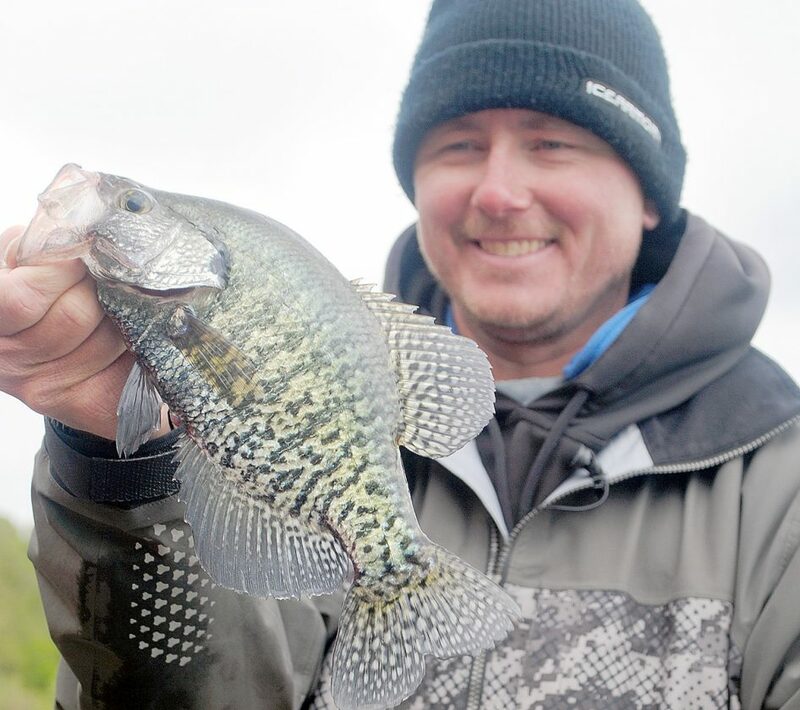 Kevan Paul with a Clear Lake, Iowa dippin; crappie. 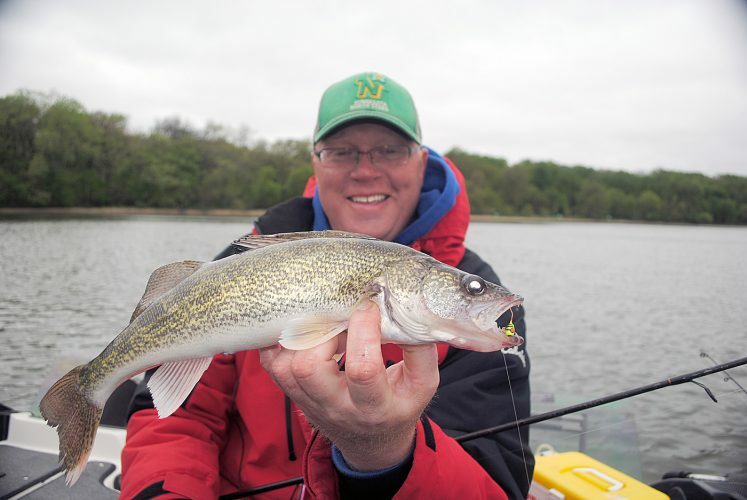 Many of the places where we go fishing across the Midwest are free of ice, or, with some warmer temperatures, wind, rain, or thunder, they will soon be ice-free. For those of us that are looking forward to getting back to open-water fishing, that means it’s time to get the panfish gear together. There are lots of ways to catch panfish, and in many areas, there are lots of panfish to catch. Let’s talk about a couple of the ways we can get a bluegill or crappie to eat our bait. One way to catch panfish after ice out is by casting a small jig to different types of cover and retrieve it slowly, or we can rig that jig below a slip-bobber and fish it in a stationary position. The mood of the fish will determine the best presentation, and we can only determine the mood of the fish by experimenting a little. Many successful panfish anglers will start with a small jig and a casting presentation. The specie of panfish we’re after will determine jig size. If you’re after crappies start with something like a sixteenth ounce Fire-fly or Gypsi jig. Crappies have a larger mouth than most panfish, so they can handle larger baits. Tip the jigs with a small minnow or piece of plastic and cast it to cover such as docks, brushpiles, boat lifts, or anything else that might attract panfish. As the fish get more active they will move closer to shore. Look for cover in warmer water for the most active fish. Bluegills and sunfish have smaller mouths and generally prefer smaller baits. Maybe start with something in the 1/32nd ounce size, but don’t hesitate to go smaller. A Slug Bug is a jig that was designed for ice-fishing, but it’s also a great panfish bait in open water. 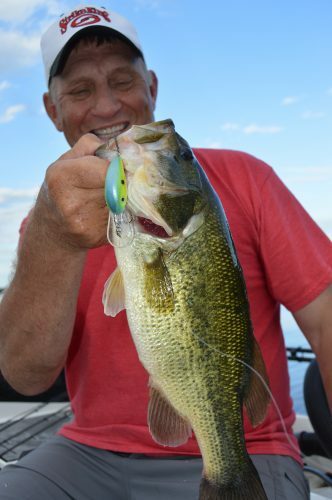 With these smaller baits, it is usually necessary to cast them with a slip-bobber and small split-shot. 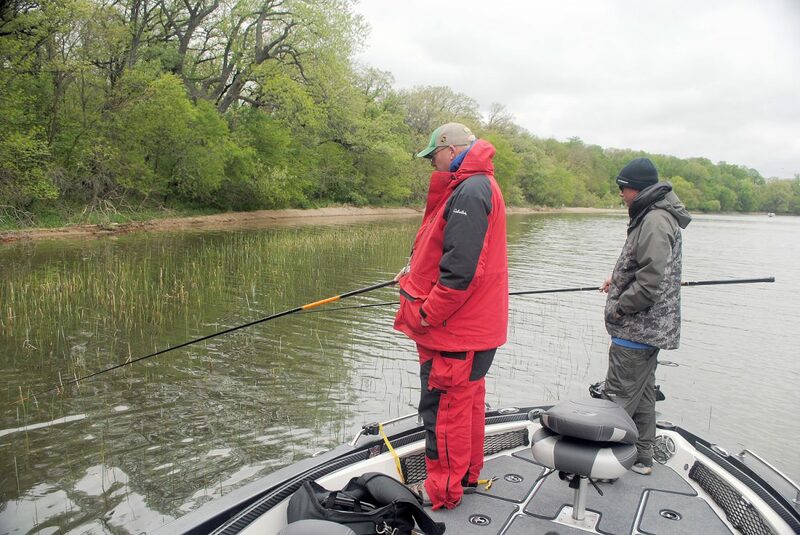 Adjust the bobber depth so your bait is just above where you think the fish will be holding. A variation to the casting technique is called “dippin'”. Dippin’ is actually how I started fishing, but I didn’t know that it was called dippin’: It was just called “fishin’.” My dad rigged a long bamboo rod with heavy line, tied on a hook, and put a worm on the hook. We threw the bait in the water and generally caught a lot of bluegills. I though my dippin’ days were over when I graduated to a rod that had a reel attached. Anglers dippin’. Note the long rods and no reels. A few years ago, I got re-introduced to dippin’. The concept was the same, but the gear was a lot different. A friend took me to a panfish lake and we headed for a large bed of rushes. Panfish were in there either spawning or looking for a place to spawn. We had 10 or 12 foot rods that were super lightweight. They had about 10 feet of 6 pound test line tied to the end. Go with Tactical Fluorocarbon. The fluorocarbon is preferred because it’s tough and can withstand being rubbed against the rushes. We had 1/32nd ounce Fire-fly jigs tipped with minnows on the end of the line. We moved into an area with the electric motor, then shut the motor off. We simply dipped our jig into holes in the rushes all around the boat. When the fishing slowed, we quietly moved twenty feet away, shut the motor off, and worked that area. It was fun and productive. Lew’s makes a rod called a Bream Stick that’s very good for this style of fishing. It’s lightweight, strong, and very affordable. After any winter most of us are anxious to get back on the water, but especially so after the most recent winter. Panfish are a very nice way to start off the open-water season. Put the bigger ones back, keep a few mid-sizers, and we’ll be able to enjoy this action for a long time.